Dry Eye Frequently Asked Questions …Answered! Here are the answers to some frequently asked questions our doctors commonly hear about dry eye. Dry eye isn't just a description; it's an actual medical syndrome in which the tear film that normally coats your eyes every time you blink fails to provide the proper hydration and protection. It usually means that either your tear glands aren't making enough tears, or the ingredients in the tear film (water, mucous, and oil) are not properly balanced. What are some common causes of dry eye? Aging, medications that dry eyes as a side effect, medical conditions that promote dryness, windy conditions (including fans), and excessive uninterrupted computer use (which encourages infrequent blinking) can all cause dryness. You may also have a condition called Meibomian Gland Dysfunction in which the oil glands in your eyelids are clogged and can't contribute the necessary oil to the tear film. What are some signs that I may have dry eye? Signs of dry eye include redness and irritation of the eyes, along with the nagging feeling that something is in your eye(s). Blurring of vision and light sensitivity are other symptoms. Your eyes may even seem unusually watery, which is their attempt to compensate for the tears evaporating too quickly (due to lack of oil). Are there dangers to putting off dry eye treatment? Letting your eyes stay dehydrated and unprotected can lead to a variety of problems. These include corneal ulceration and scarring that might affect your vision permanently. 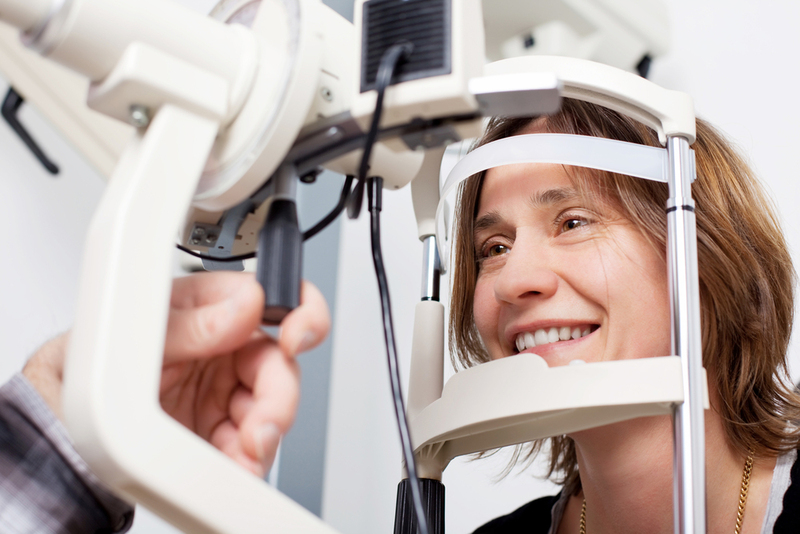 Our doctors will perform a thorough evaluation of your eyes to find the underlying reason for your dry eye symptoms. Additional diagnostic testing such as “Inflammadry”, offered at Carolina Vision Care, can identify those patients who may benefit most from steroid eye drops and/or prescription dry eye drops. Once we know what may be causing the dryness, our doctors may recommend artificial tears, prescription eye drops such as Restasis or Xiidra, steroid drops, or warm compresses of the eyelids. We may even recommend that you ask your medical doctor about changes to your medical routine, or that you adopt lifestyle and environmental changes to minimize your particular dry eye triggers. We would love to help customize a dry eye treatment tailored specifically to you. Call Carolina Vision Care at 252-752-4380 to schedule an eye evaluation so we can get started on your dry eye treatment!